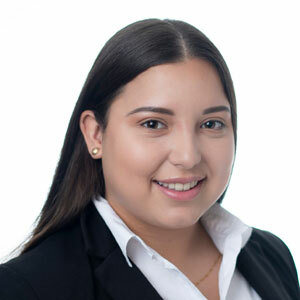 Astrid da Silva is a law clerk who has worked with Ms. Dall’Agnese since 2018. Prior to joining Avanessy Giordano LLP, Astrid gained experience and practical knowledge in Criminal Law at a boutique Criminal Law Firm in Toronto and in Personal Injury Law at a boutique firm in Markham. In 2018, Astrid graduated from the Law Clerk studies program at Seneca College. She is dedicated, driven and enjoys the litigation process involved in Personal Injury Cases. Astrid excels at providing a personalized approach to each client. Schedule a free consult with one of our lawyers. Avanessy Giordano LLP is a boutique personal injury law firm designed to provide you with the personalized care required to guide and support you through the complex legal process.